One of the hottest trends in content in recent years has been the rise of esports. Young consumers flock by the hundreds of thousands to platforms like Twitch and YouTube to watch their favorite players play games like “Fortnite” and “League of Legends,” games that fans themselves will play too. With a young, engaged audience, esports presents a new opportunity for advertisers and marketers looking for the next generation of sports fans. The relatively nascent genre also brings pitfalls and risks, however. 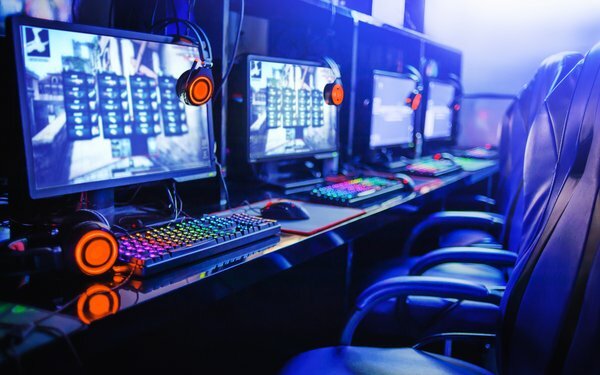 Teams, platforms and measurement companies are seeking to professionalize, giving marketers more opportunities and more data to better integrate their brands into esports content and to provide a better return on investment. Still, esports can remain a tough sell, with content distributed across video and social platforms, and uncertainty from marketers over how to best enter the fray. Two companies looking to help bridge the gap between marketers and the world of esports are the sports sponsorship valuation company GumGum Sports and the esports audience monetization platform FanAI. GumGum Sports analyzes both video content and content distributed through social graphs to determine the value of a sponsorship. For example, an advertiser may sponsor an esports team, but the players may play on their own time on Twitch as well, and post videos to Instagram. “Sponsorships will cover the streamers or players being on Twitch every day, or the events they play at, or social media activity they go do,” GumGum Sports GM Brian Kim tells Video Insider. Ultimately, their software identifies logos, content, teams and other data points to put a value on the content in the ecosystem. FanAI, meanwhile, tries to identify who is watching the content, with traditional demographic identifiers, of course, but also income, education-level, or even specific purchases that have been made, thanks to a partnership with MasterCard. In fact, despite the smaller audience, esports has some advantages for marketers over traditional sports. For starters, because esports was born on the web, it has a rich trove of data to work with. “It will mature at a pace that is a lot faster than traditional sports,” he adds. Likewise, while traditional sports stars are content to play their games and occasionally engage with fans as the league and teams allow, esports stars engage with their fans every day on social media and through Twitch and YouTube. Not only that, but brands can be integrated into content produced by players, teams or leagues, in a way that would not feel natural in traditional sports. “What is amazing about being a brand [in esports] is that you can create content with those players, with the team, with the league, with the publisher, and have the ability to reach a very engaged and large audience,” Waldstein says. As today’s younger consumers continue to embrace esports, more and more marketers and programmers are taking note. MasterCard inked a major deal earlier this year with publisher Riot Games, while other brands like Turtle Wax and Red Bull have long spent a portion of their marketing budgets on the genre. At the same time, companies like Disney and Turner have paid up for exclusive rights to some competitions, hoping to steal some viewership from the likes of Twitch and YouTube. Just how big esports can get is a matter that is up for debate. Will these new sports supplant the traditional sports that dominate today’s media landscape? Probably not, but the level of support they currently have suggests that they could become a viable competitor to many of the smaller niche sports scattered across pay TV today.